Always a difficult decision, since there is just so much music to choose from, the song of the year award must take into account a lot of different factors. For me, the song of the year should combine elements of well written tunes, creative lyrics, catchy hooks and something which sets the song apart. Good hip hop is like good wine. Anyone can take a sip and enjoy themselves, but I think it takes time for one to truly be able to appreciate some of the nuances of the genre. While I am by no means calling myself a connoisseur, I think I have been slugging back on the hip hop sauce for long enough to tell the good stuff from the baby duck. That it mind, it took all of my musical pallette this year to appreciate the depth, and full bodied tannin flavour (ok, I'm done with the wine analogy now) of Shad's Rose Garden. Beyond the obvious catchy beat which evokes an old school Motown feel, Rose Garden layers on thick an intricate punch beat which if you listen closely, seems like to much percussion, but when you sit back and listen to the whole song, blends perfectly. Approaching the end of the song, loops of layered vocals play over top of each other forming a nice little wind down to a great song. But of course, the strength of this song, as with any Shad song is in the lyrics. 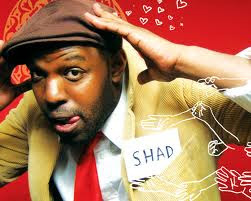 Beyond the central theme of trying to bring people down to earth, Shad manages to incorporate some of the strangest, yet most impressive lines into his raps: "Glen Beck better duck like foie gras."